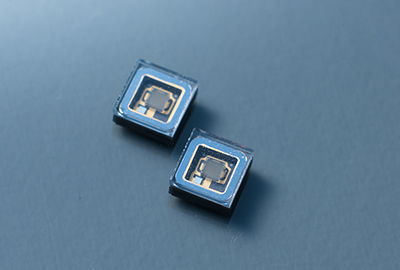 Nikkiso's Deep UV-LEDs | Deep UV-LEDs | Products and Services | NIKKISO CO., LTD.
Nikkiso's Deep UV-LEDs Boasting the World's Highest Performance with Nobel Prize winners. 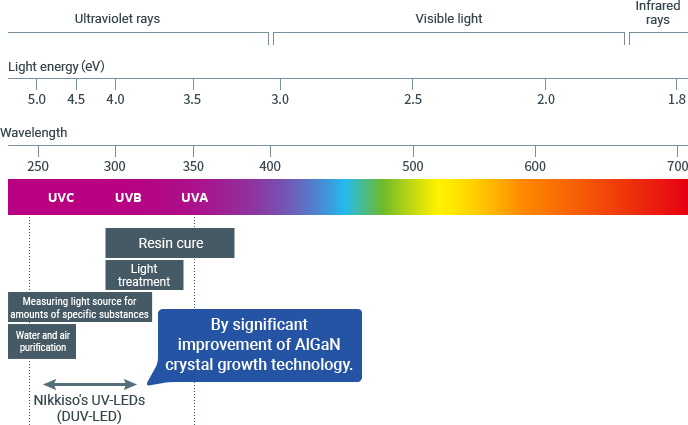 Research into Deep UV-LEDs began in 2006. 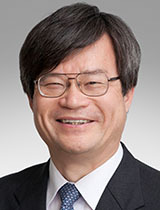 University were awarded the Nobel Prize in Physics in 2014.
and endeavor to put it into practical use in Deep UV-LEDs with the guidance of the two professors. 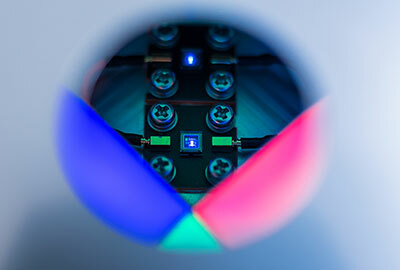 Mass-production development of the Deep UV-LEDs with the world's highest output was successful. in order to respond to the demands of the market, which desires further higher output. which was the world's highest output, and with a product life of more than 10,000 hours. The top performance in the world was achieved. Ultraviolet rays are light with a wavelength shorter than 400 nm. and among them we specialize in deep ultraviolet with a wavelength of 280 nm or less. and purification of water and air, resin curing, photocatalyst, etc., compared with conventional products. manufacturing base dedicated to Deep UV-LEDs. in Hakusan Factory in Ishikawa Prefecture. and the luminescence intensity as well as the product life has reached the highest level in the world. 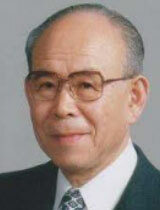 Information about the Hakusan Factory is here. and optimizes the optical characteristics and fluid characteristics by matching them. high disinfection performance is achieved. processing, analysis of powder and granular materials, safe design for medical equipment. We will pursue further applications for Deep UV-LEDs by taking advantage of synergy with the conventional business.